This gorgeous personalised baby keepsake gift is a perfect gift for a newborn. 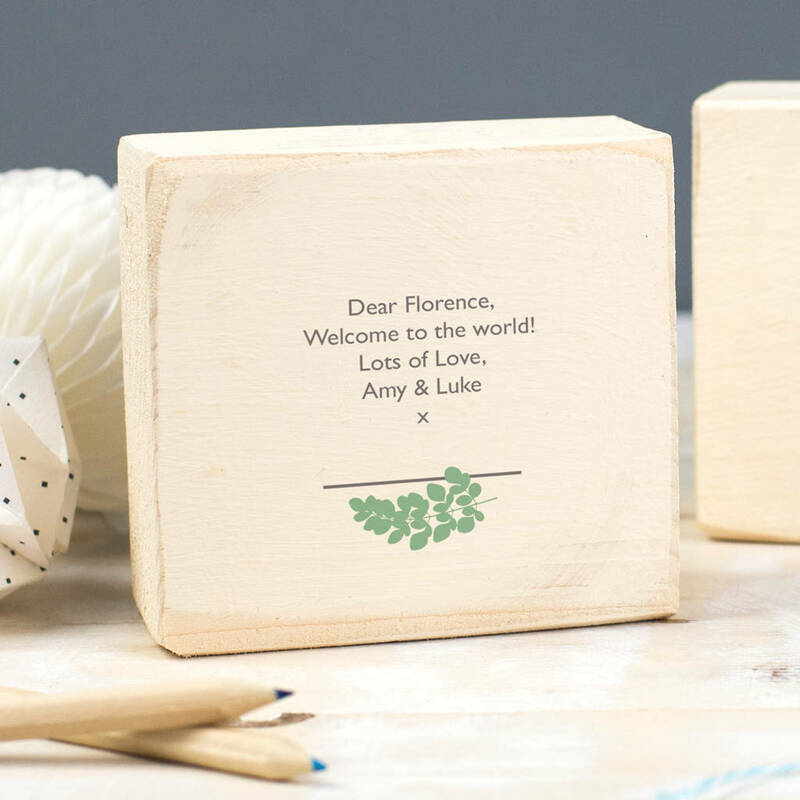 A personalised wooden block makes a new baby gift to treasure. Featuring the baby's name in a beautiful contemporary script font and a special date on the front and the option to add your own personal message on the back. 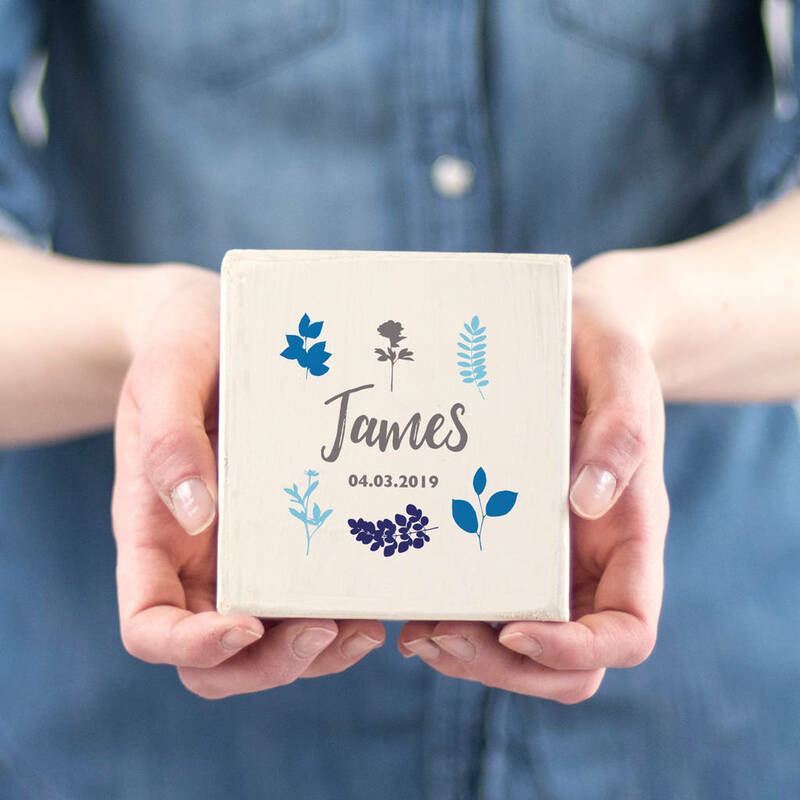 Our personalised wooden baby block is designed to be displayed on a shelf in a child's nursery and is a beautiful keepsake to treasure as they grow. 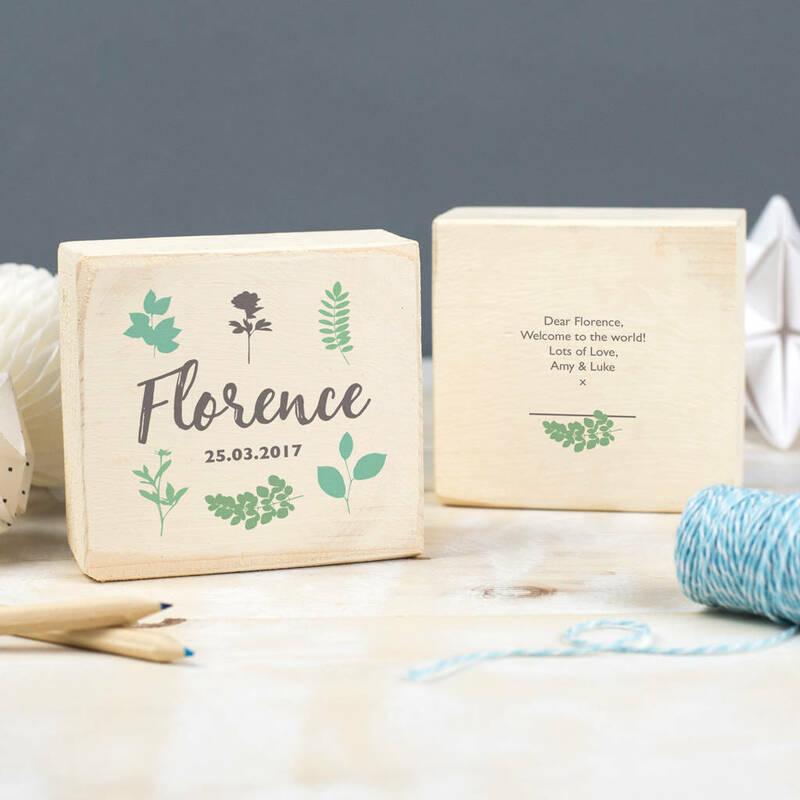 Our baby blocks are made to order in our Derbyshire workshop from painted reclaimed wood. 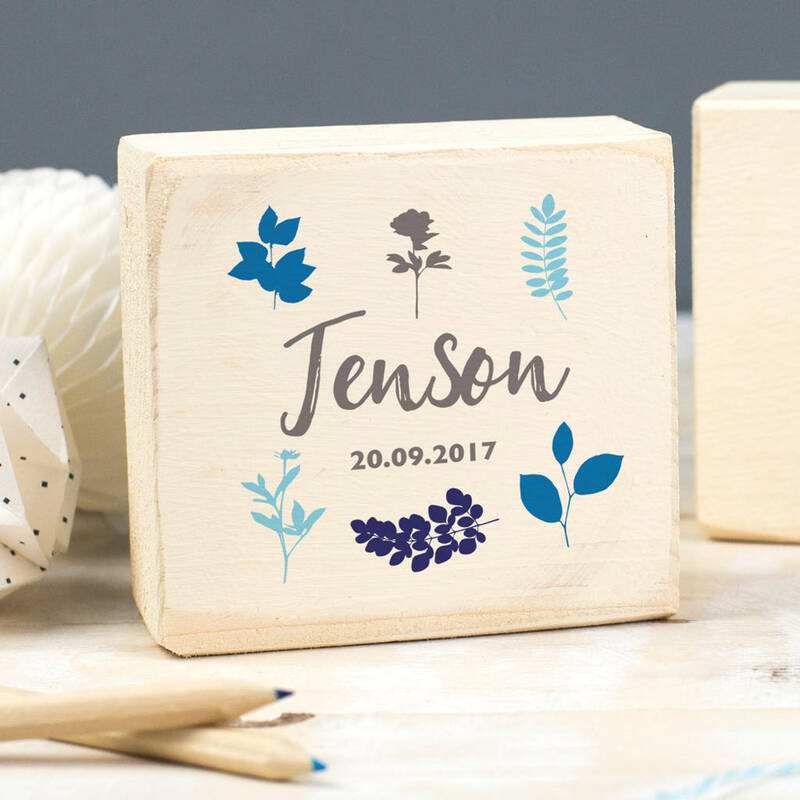 This personalised baby keepsake gift provides a delightful way to cherish the memory of a child's birth, christening, baptism or naming day. 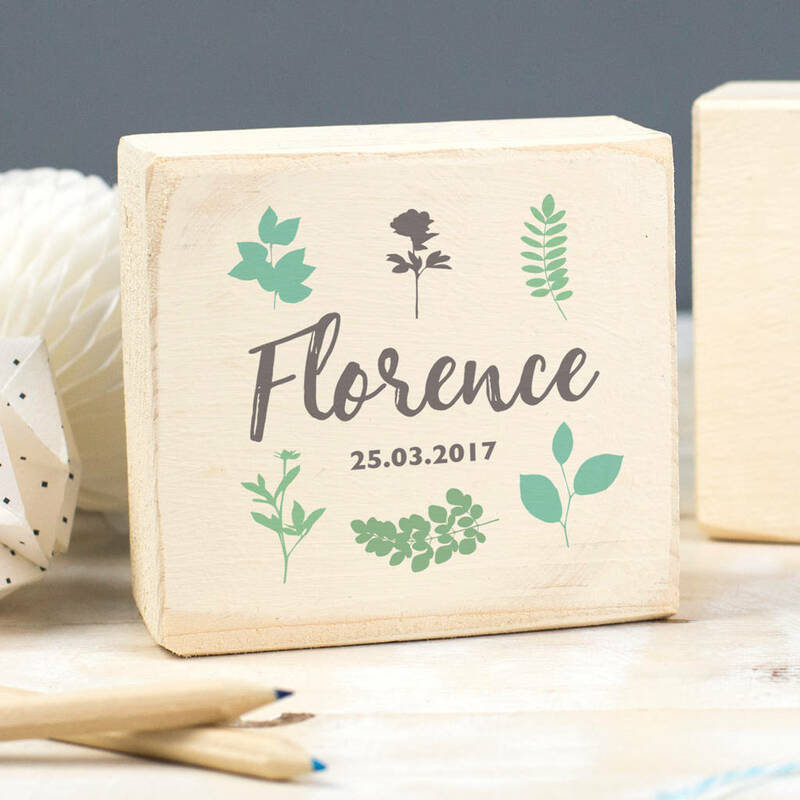 Personalise this handmade wooden block with a first name and a date on the front. 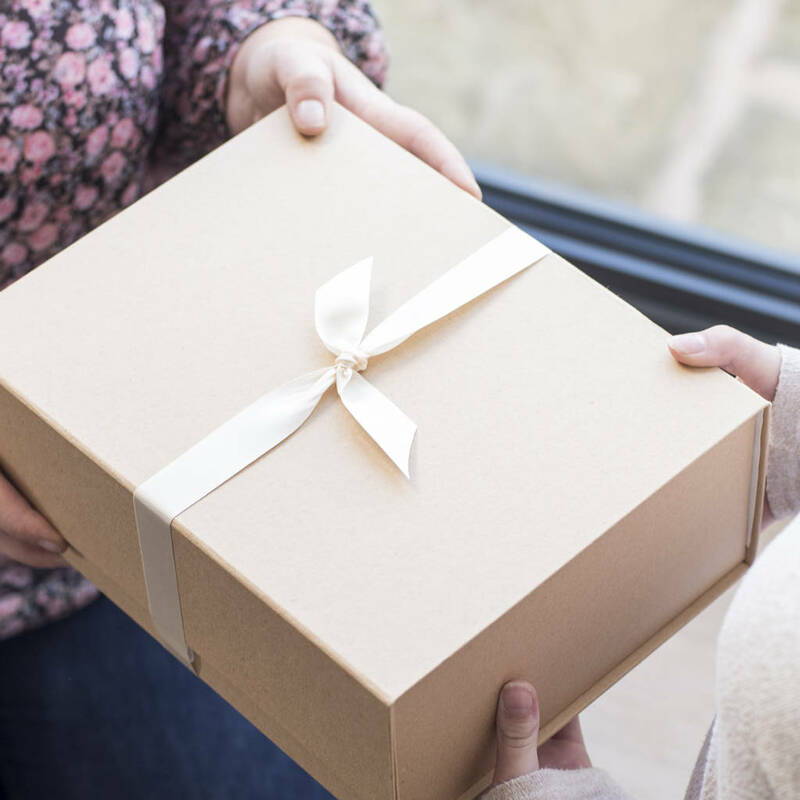 On the reverse is space to add your own special, personalised message. The delicate botanical design can be printed in 3 different colourways; greens, pinks or blues. The wording is always printed in grey. The background colour of the block is painted cream and has a distressed finish. Handmade in Derbyshire from reclaimed wood. Designed, printed and packed beautifully in our studio. Each block is made from reclaimed wood which may have knots which adds to the natural character of real wood.